← Back from the NRA show. 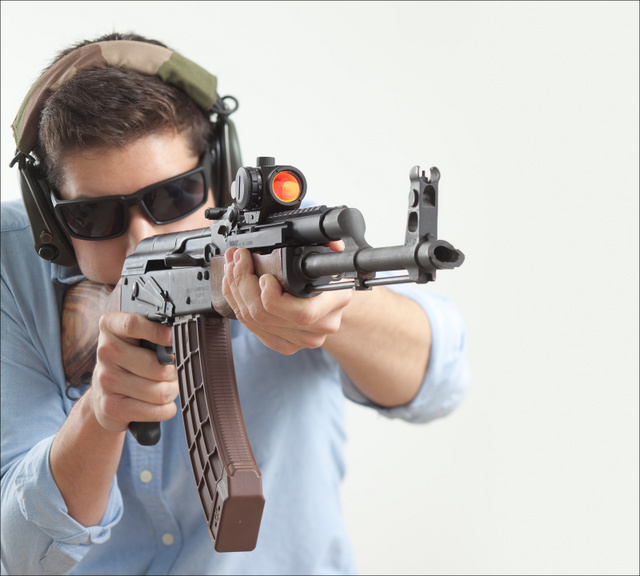 AK with Primary Arms micro red dot on an Ultimak rail, US Palm magazine. It’s nice to work with people who understand their own products. Muffs are MSA Pro-X, same as what I use at home. Looking into switching to Tactical Hearing Protection fitted plugs, like Chris Cheng. Got a molding of my ears done at the NRA show. This entry was posted in rifle, weapon and tagged 7.62x39, AK47, magazine, optic, red dot. Bookmark the permalink. I still use the MSA muffs in training classes or if I am SO’ing at a shoot. They do make listening to a conversation easier. The custom ear pieces are better when just going to the range to practice or compete. Oleg, WHICH exactly of those custom electronic ear plugs are you getting, and why? They offer models from $1,000 to $3,800, and I can’t tell from their descriptions why I’d want one vs. the other. Hm, are these different and/or better than the ESP plugs? The descriptions and price ranges seem roughly similar. If the tacticalhearing.com plugs work as well as my Peltor Pro Ears muffs (or even my old Wolf Ears, before they broke), I want them. But I haven’t yet come across a clear guide telling me which of these various fancy – and very expensive – electronic plugs are the right choice. I am still researching the details. It seems the main difference is effectiveness, the cheapest provide about 32db reduction and the most expensive around 40db. I can tell that when the molds were made, the world went almost entirely silent for me despite the noise of the convention floor. For me, the main reasons for the interest are the ability to still hear speed and the possibility of shooting without muffs. Muffs get very hot during Tennessee summers. Try down here in Texas. One advantage of proper earmuffs is that they protect from the sound transmitted through the mastoid bones behind the ear. No in-ear protection can match that. 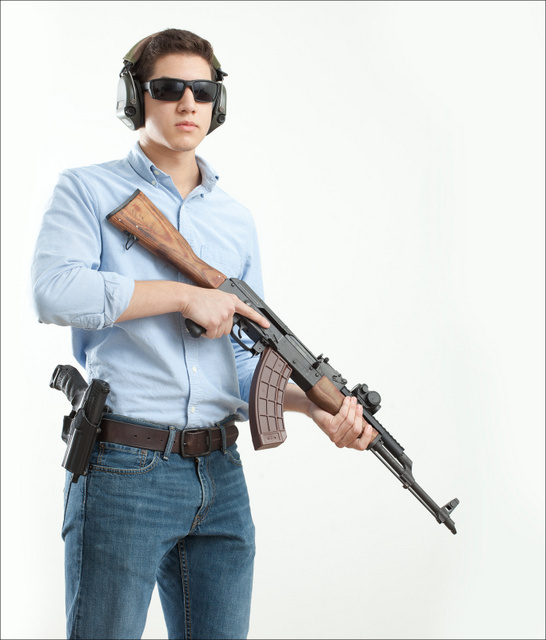 Earmuffs are important when you’re in a line of shooters, and particularly when shooting handguns.